Hundreds of villagers gathered on the banks of the Salween River in Burma to voice their opposition to the hydropower dam projects planned by the Energy Generating Authority of Thailand (EGAT) and Burma’s military government, the State Peace and Development Council (SPDC). 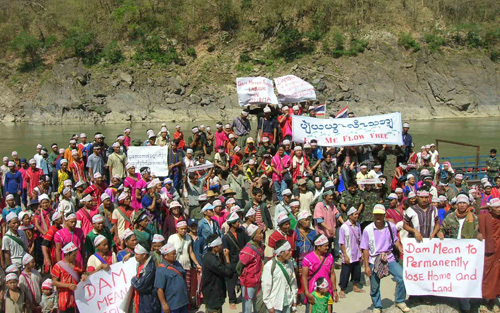 Despite enormous obstacles in voicing opposition under military rule, villagers converged to let the world know that the people living along the Salween strongly oppose the Salween Dams. Villagers from different ethnic nationalities from 7 Burmese social organizations, as well as Thai organizations and local villagers attended the event. Villagers carried signs that said, “Dam Means Displacement”, “Free the Salween”, “Dams mean to Permanently Lose Home and Land”, and “Dam Means a Strategy of Occupation Control.” They demanded that all of the dam projects planned for the Salween River be cancelled. They called upon the United Nations, UNSC, the World Commission on Dams, international communities, and the Thai public to pressure the Thai government and the SPDC to stop the dam projects. Representatives of the Yintalai indigenous tribe, who live in the proposed flood area of the Wei Gyi Dam on Salween River, shared their concerns about the dams permanently impacting their homelands. They also worried that their entire tribe is under threat of ‘dying out’. Karen Rivers Watch (KRW), a partner of Earthrights International in Southeast Asia, organized the event for the International Day of Action Against Dams and for Rivers, Water and Life. KRW also held a symposium on dam issues of Burma highlighting the current dam trends in the country and identifying common goals for the dam movement. “Salween Eyes,” a peoples network of 7 villages opposing dams on the Salween River, led Buddhist and Christian prayer ceremonies. The groups concluded their events with a music concert and community theatre. During the 2-day event, villagers and researchers discussed experience of the first large-scale hydropower project in Burma, the Lawpita dam built in 1960 in Karenni State. 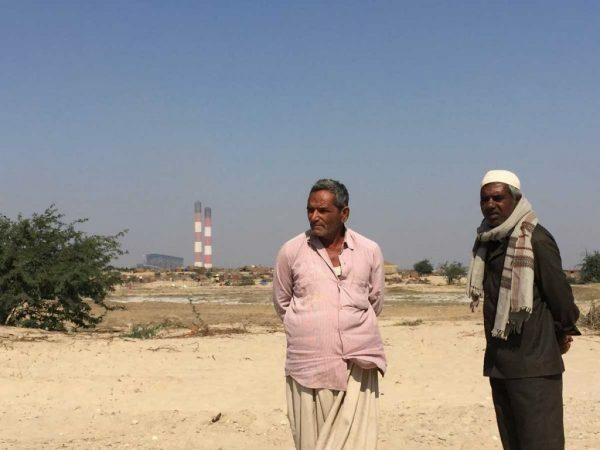 Landmines were planted around the Lawpita power plants for security and 12,500 people permanently lost their homes and farmland without receiving any compensation.  Even today eighty percent of the population in Karenni State lacks access to electricity. The Salween Dams plans being pushed ahead by EGAT and the SPDC have already had drastic human rights and environmental impacts. Over 300,000 villagers have been forcibly relocated in one dam site area in Shan state alone. In the same area, commercial logging companies have increased their operations significantly leading to rapid deforestation. As the SPDC moves to secure all four dam sites along the Salween River an increase in militarization has caused even more internally displaced villagers to flee to Thailand for safety. Flooding the Future , an ERI report on hydropower and cultural survival in the Salween River Basin.